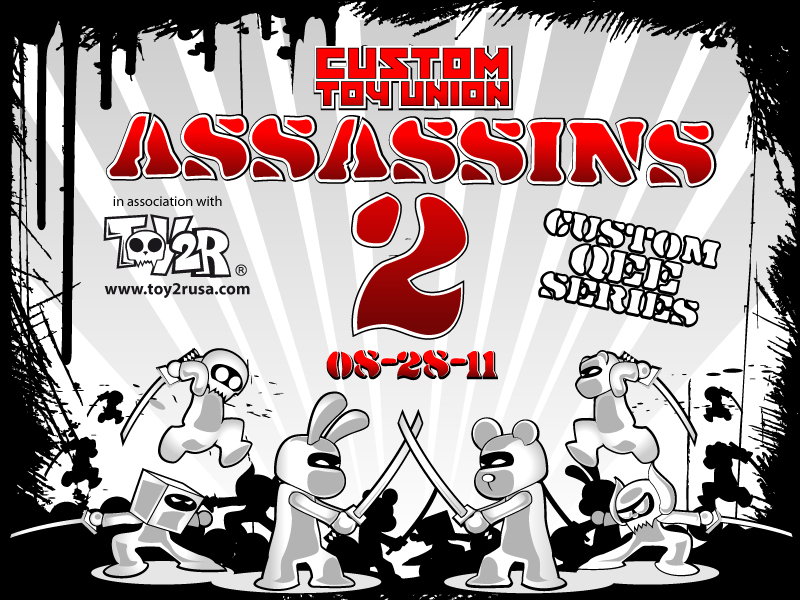 The Custom Toy Union just contacted us and let us know that their Assassins Series 2 will be dropping in late August! 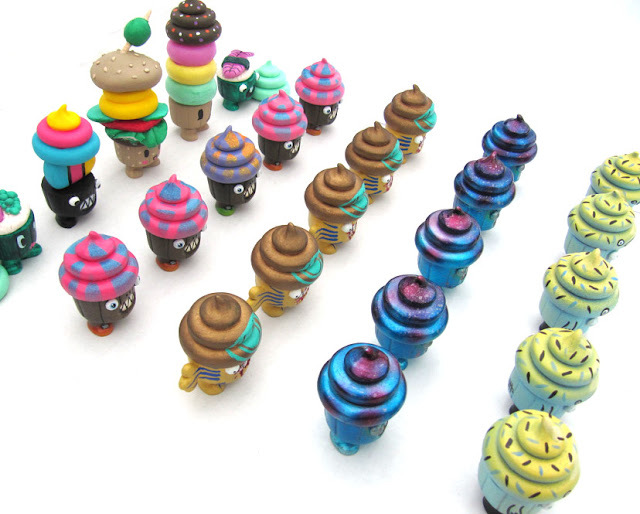 This series will feature 2.5" Qees (of various head types) as they have partnered with Toy2R USA on this project. customized 8" Qee by B.A.L.D. via a Golden Ticket (randomly placed in one package). 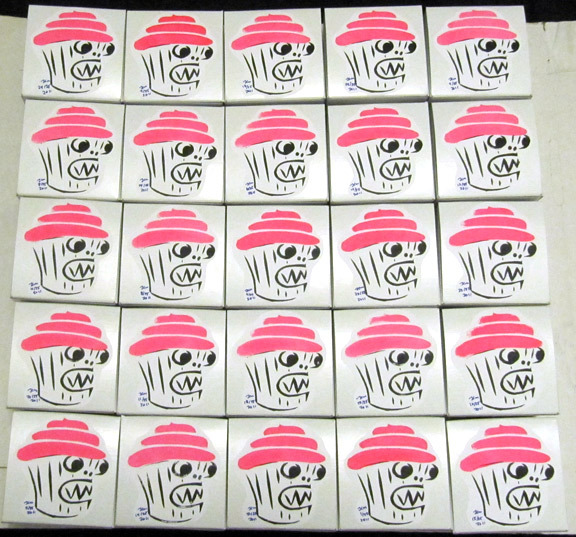 The series will be released for general sale on August 28th 2011 @ 12pm PST, but a pre-order is up now for the series. You can follow the official thread on the Custom Toy Union forums for teasers, full reveals and news. 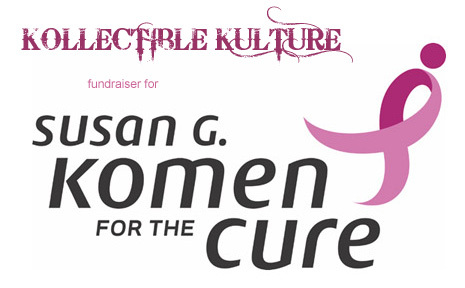 Kollectible Kulture has set up an ONLINE STORE where there is the option to purchase a fundraiser entry. Each entry is only $5.00. Think about how small of a donation that really is.... putting it in perspective... you are donating $5.00 to help fight breast cancer and you could walk away with a prize! You can purchase as many entries as you want, the more the merrier. KK will be keeping track of how many you purchase and will be putting your name in a jar, old-fashioned style. Once they are ready to hold the actual drawing (beginning of September), they will chose a prize then draw a name. The name associated with that prize is the winner. Simple, right? $35 each. Click here to buy! Announcing the impending release of a Tenacious Toys x Rampage Toys blind box custom series collaboration: Mini Kaiju Cupcakes! We have been collaborating with Jon Malmstedt and Rampage Toys for a while now on various endeavors. 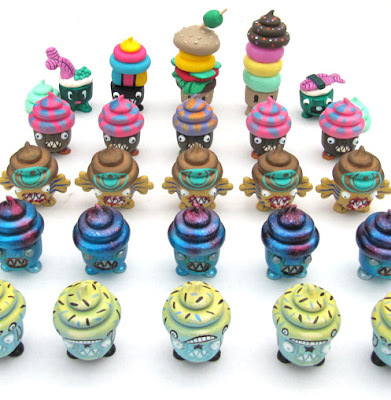 Jon pours these great little 2-inch Mini Kaiju Cupcakes in resin and at first he was painting them himself. Then he tossed the idea at me for a blind box custom series based on this platform, and I was game! We decided to go with a 25-piece series and 5 different artists (one of which is Jon). Jon picked another artist (Justin Hillgrove of Imps and Monsters) and left it to me to pick the other 3. I chose NREAZON from Texas, Nasty Neil (iwillnotbeawastedtalent) who's now from NY, and OsirisOrion from CT. 5 blanks went to each artist. This series will go live Wednesday evening in our Exclusives section here. 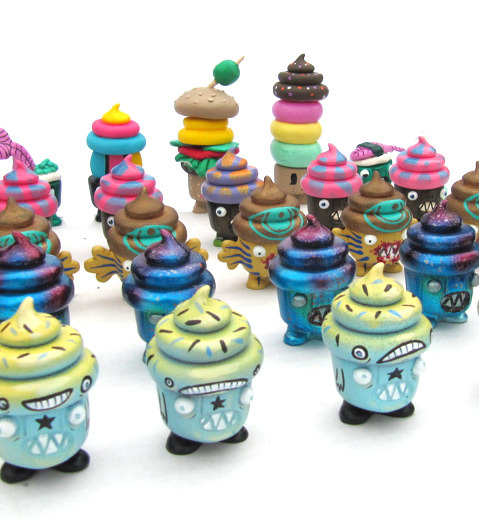 Presenting Alchemy in Plastic & Vinyl, a solo toy show featuring 79 custom toys by Kris Dulfer of Kid Ink Industries. 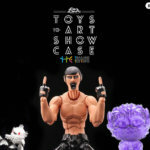 Custom toys from this show will be available for purchase here. You can go see Alchemy in Plastic & Vinyl yourself at White Star Bar at 230 Brunswick Street in Jersey City, NJ. The show will be up through July 14, 2011. Techno Kitten Adventure: the figure!